Before everybody goes all judgemental, it COULD be that he flew the jets on his free time in order to keep current on fast jets while spending all his professional time flying a desk at headquarters. Compared to frontline jets, a jet trainer has relatively low flight costs. Arranging the refueling stops on a training mission to coincide with something pleasurable is an old international airforce tradition. It is all a matter of avoiding excesses. Exactly, when I was going through training one of the instructors had permission to take a helicopter to another base for the weekend, that base being near where he lived. The hours flown came out of his staff continuation training, basically flying hours to keep the instructors current at actually flying the aircraft rather than telling the student what to do. The hours had to be flown anyway so why not do something useful with them rather than just flying circles in the sky. The base commanders main bone of contention was that said instructor kept managing to arrange it so his trips coincided with a weather front passing through making it impossible to fly back until the Tuesday rather than the Monday morning. Perks indeed. When I was in the RAF (based at Honington in Suffolk), we had a week's firing practice arranged in Altcar barracks in Liverpool. I was seeing a girl in Liverpool at the time, and my parents home was in Manchester, a short trip away. At the end of the week, I planned to depart the barracks to do my own thing locally for the weekend before travelling back to Honington on Sunday night. This was refused on the basis that the unit should always travel as one, to preserve the integrity and morale of the squadron, and to not be seen as affording any perks. Thus I had to travel the 235 miles back on the coach, only to have another 235 miles to travel back again, then a third time before Monday morning (I simply postponed that visit). A friend of mine went to ask for the hand of his future bride in his army "vehicle". As you might expect when the question is asked with a T72 parked on the street in front of your house with the gun pointed at it, the answer was a resounding "Yes of course". Ooh la-la! Is that a 105mm gun in your pocket, or are you just pleased to see me? Your proposal was wonderful. Tanks for the memories. "Panzer? I 'ardly knew 'er..."
Presumably, on receiving a positive answer, he raised the barrel to maximum elevation? "A friend of mine went to ask for the hand of his future bride in his army "vehicle"." I was told of a lad who was so proud of passing his test to drive Scorpions that he took one out of the base and drove it home to show Mum. He was duly court-martialled, and sentenced to 28 days in Army nick, which the CO then commuted to a week on fatigues because he had "shown the right spirit". "Used to test drive these (Scorpions) and once overtook a porsche on a dual carriageway." You disabled the governor, didn't you? When the carrier of one of them broke down on the way to an exhibition in Belgium, the crew just dismounted it, took off the governor and proceeded to the exhibition. They were stopped by the police, of course, showed the insurance and licence for road use, and merrily continued on their way at 74mph. Apparently nobody tried to stop them when they wanted to move out into the overtaking lane. I remember seeing a guy on telly who'd bought one in the late 80s. He lived in central London. So a Scorpion (painted bright yellow naturally) was apparently the perfect vehicle. One advantage being, the new clamps didn't fit it. A MF Sysop was working over the weekend at a FTSE100 and parked his personal one tonner in the MDs parking spot as it was empty. Monday morning and the MD was not pleased. So the truck was moved, to the front steps of the head office while he got the MF going again. A great piece of kit that could go anywhere. The MD did see the funny side and apologised. Good fellas both. to maintain his necessary flight status, and the plane was sufficiently available for military purposes. However, I wasn't aware that Bordeaux was some kind of pit, compared to Provence. Of course, I can't get onboard if mon general was just abusing his rank and the availability of public assets for his private interests. Well no, because they're an Army asset so he'd be more likely to want a go in a Tornado. Or more realistically a Hawk, because they're cheaper. There is an argument for keeping desk bound aircrew current in flying, in that as you get older it becomes harder to regain currency after say a two year break if you haven't touched an aircraft. With a fast jet trainer like the Alpha Jet there's a good compromise between the performance levels you'd expect and the cost of operating a military aircraft. Anecdotally age doesn't seem to be an issue for aircrew who stay in regular practice, although their reaction times may become marginally longer their accumulated experience more than makes up for it. So it depends what kind of General* he is and what the French Air Force rules are, it may be that everything he's done is legitimate, if a bit pointless if he's never going back to a flying appointment. *If he's a junior Major General he may find himself in charge of an air base as his next job and might be expected to do a certain amount of flying. "It is not like the Duke of Edinburgh and the First Sea Lord practice A.S.W., the Chief of Air Staff goes on strafing runs with an Apache or the Chief of the General Staff goes for sniper practice." Want to tell it to this guy?. He happens to be a president of NATO country and is still flying up to the required limit for a fighter pilot. Not on alpha jets either - he uses the board number 29 - the one seen banking out of formation on the photo and can fly it like probably only a handful of people can. Officially Mig-29 cannot do the Pugachev Cobra or a Bell. Unofficially, if you have an outright nutter at the controls - it can. So I suggest you convince him to push a pen as he should as he has been a "pen pusher" according to your definitions since 2000 (last 17 years). Maybe that is the problem in the first place. On the story of the Spitfire I remember the mighty Eric Brown talking about having fun with an unidentified one of those. He flew it under the Fourth Bridge. As you do. I think it was about 1942. Many people complained to the local police (which I find suprising in wartime). And they apparently spent quite a lot of time shouting at the local RAF bases, whose officers I'm sure then spent a lot of time shouting at each other. But the culprit could not be found. Nobody asked Brown, as nobody knew the Navy had any Spitfires, so the police didn't bother asking them. 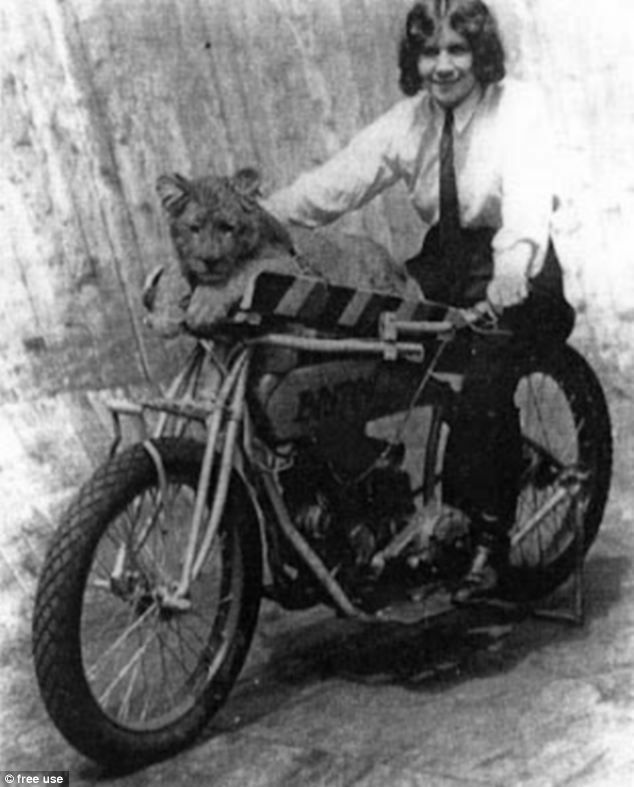 "History does not record just exactly how pissed off the lion was about this..."
Maybe someone should have looked in the bottom of the sidecar to find out. A few years ago at the Shoreham Air show (years before the fatal crash) I was watching a Typhoon doing the aerobatics for the crowds. When it was finished it headed westwards, presumably towards the airbase. Out of the blue the jet did corkscrew turn a few times over the sea. The pilot must have been thinking "f**k it, this is boring flying in a straight line, I might as well keep myself entertained". You can't be doing that! That plane is meant for killing people. NOT for use as a taxi!!! Well, *training* people to kill people, or provide assistance thereby. But to be honest, I'd rather it were used as a taxi than for it's design intention. I'm pretty sure there's a combat version of the Alphajet. Or if not yet, there's one in design. It's supposed to be a cheap close air support plane. Having crossed France a couple of times with an IFR flight plan, they seemed very keen to let us route direct as soon as we contacted them on entering their airspace rather than bothering with airways. Mind you that was in a Jetstream, I'm not sure if they do the same with proper airliners. When you write, "French general accused of nicking fast jet for weekend trips to the Sun" I am hoping you do not mean 'visits to Mr Murdoch's unlimited supply of loo paper" and perhaps mean 'sunshine'? ..but I presume he was going from military base to another, so I presume you don't pay landing fees. And lets face it, it's cheaper than travelling by train in the UK. 52p/litre? Can I put it in my car? Also 3 miles to the gallon is pretty impressive (assuming I've worked that out right). Some cars don't do much better than that. It's close-ish to diesel but I think it's missing some of the additives needed for a car engine. So it depends how much you value the car. Given some of the low-grade, barely-better-than-fuel-oil stuff which passes for diesel when you are some distance from civilization/the beaten track it would amaze me if you couldn't run a Defender or Land Cruiser on it, as both seem to cope quite adequately with such stuff. Yes, saying 'some of the additives needed for a car engine' may have been over egging how essential they are! I think it's something to do with lubricants for the injectors which will probably last for ages without it. The list of acceptable fuels for the Westland Wasp/Scout was occasionally summarised as anything runny and flammable. Jet -A! is mainly kerosene which has additives to lower its freezing point. It is generally of a *higher* quality than road diesel fuel. You could safely add it to you r diesel mix in winter to achieve a lower waxing (freezing) point in extreme weather. Jet B is possibly better for cars as it's a mix of petrol and kerosene, mainly to get the freezing point right down. It's basically intended for use in Arctic and Sub-Arctic regions, I think it might actually be banned in the UK due to the low flash point. "A Higher Call", by Adam Makos - the true story of how a Luftwaffe pilot escorted a critically-damaged USAF bomber safely out of German airspace. If it's out there then www.bookfinder.com is probably your best bet. There is a book called The Eagle and the Hawk by Alec Carstairs, but by the book cover it is probably about a spitfire pilot. Well, Gen. Richard Reboul was flying from one Military Flight Training Academy to another in a pilot training aircraft. Salon De Provence is a military pilot training base. So no landing fees and even a possibility of legitimate business. It's not strange that he owns a house nearby for obvious reasons, since he was the big boss of that base for years before being posted to Bordeaux. He is also the general-in-chief of the airforce. And a key participant in the design of the Rafale striker Jet. Could well be internal politics, someone trying to damage his reputation (like a supplier that failed to have a bribe accepted/contract awarded). If you think that's too fanciful, one of my former bosses entered the private sector 30 years ago after exactly such an experience. Actually, I was having the same thoughts - how exactly do you go snoop around on the whereabouts of a jet plane on a military base? Could it be there was a strategical "anonymous" tip-off involved somewhere...? Well compared to what RAF and army air boys used to get up to in the 1960's with the "private" use of planes and choppers,his possibly legit use is small cry,many memories of Hercules being flown about at weekends doing forces personel house moves etc and flights to exotic places,but pilots have to keep their hours up,and it's hardly a suprise that forces personnel and families have homes near bases and if folk need to be moved from say BOAR to UK,is it cheaper to use several army 3 tonners,pay for a private commercial firm or a Hercules with a crew that need flying hours on their log books ? Boscombe down pilots used to get away with murder,but what they did was treated as perks of the job and considering the work they did with the risks involved,they were small. At least they didn't use public money to buy and maintain duck houses !! Have you seen the price of French road tolls, I'm not surprised he sneaked a jet. I saw a TV program about a village in the USA that was built like that. Each house had a garage/hangar, with a drive that went out of each end. One way led to the road, the other led to a taxiway, that went to a shared runway. So you could literally get up in the morning, hop in the plane without having left your house and fly to wherever. Well, as runways and driveways go, John Travolta clearly has that one sorted :). The absolute pinnacle of -propeller driven- aeronautical engineering. It strikes me that not being terribly fuel efficient is a bit of a British tradition (admittedly the US isn't shy in that respect either). You still find that tradition in the Aston Martin - still (IMHO) the most beautiful styling ever and a respectable engine to boot, but it's not exactly setting records in fuel efficiency :). Not that you need that from a monetary aspect (if you can afford an Aston Martin you will probably also have an accountant who can manage your fuel costs), but from a sheer operating radius perspective it's annoying. Going sideways slightly, that's why going *really* fast isn't actually going to get you anywhere faster if the travel distance exceeds tank capacity. In my own experience, doing a calm 120km/h takes 1/5th of the fuel of doing 250km/h (+50l/100km versus 10l/100 for a v8, and those figures are worse for the aforementioned Aston Martin)) - if you want to do 500km in one go in, say, Germany you're better off with a boring old turbo diesel doing 140 km/h than anything faster as some of those will give you nearly 800km on a single tank (it starts with indicating +1000km, but you'll only ever hit that if you stick to 100-110km/h and accelerate as if you have a Prius with empty batteries and only shoe leather for brakes). 1. On posting from Calshot to Kinloss 3 of us instead of railway warrants we did the math to show it was cheaper to pay our fuel to take my Singer 9 van to Kinloss so got the funding for that!. 2. On completion of our OCU at Kinloss on Shackletons MK 2';s we were posted some 3 of us to RAF Balleykelly in NI. so it was my suggestion that we had the CO run a Nav ex to take us there!. 3 .I was running an Austin 7 chummy at that posting and it was my job to drain the fuel tanks of condensate. Needless to say it would have been a waste just to pour it away. It ran my car v well to Londonderry vwell to Saturday dances. 4. In our billett we had the RAF regiment NCO and it was a perk to go to the range on Wednesdays to do small arms practice, needless to say it wasnt part of our duties, . 5. On escape and evasion exercises, we had been dropped many milesfrom base and it was pouring with rain that night. there was an empty house nearby so we forced open a window to get in. needless to say in the morning we checked and found the front door was unlocked!. 6. On competion of my statutory duty i drove back from Balleykelly via Stranraer back to Poole!.The chummy went v well..
so it IS standard practice for aircrew to exercise initiative. 7. Could never afford to fly privately, but when hang gliding came to the UK, well it was for me. Had a great 10 yrs and finished up representing the BHGA at the CAA on air traffic management. Met some great ex RAF types. Finally, one of the best reads is Fate is the hunter, by Ernest Gahn. Many of you know it? Ted In Dorset still exercising initiative!!. He should have picked the Spit. Would be worth £ 1-2 million today. General Parly? Can we have a talk about that? Friday 30th June 2017 09:14 GMT Potemkine! This general is not the bureaucratic kind: he's a pilot and pretty good one. He fought in the first Gulf War on Jaguar, became a test pilot, worked on the Rafale.. Anyway, at a time when military resources are strained and deficits run high, using an Armée de l'Air's plane for a personal usage cannot be tolerated. An hour flying with an Alphajet costs around 10,000 €. In one year this general would have made ten flights between Bordeaux and Salon-de-Provence, for a total cost around 200,000 €. However, I hardly believe he is the only one to practice this kind of abuse - I remember during my military period having our commander being sanctioned because he thought he could fill his personal car's reservoir with Army's gasoline - there may be some internal politics or personal revenge behind this story. It is not an excuse, of course, I would hope that all abuses would be disclosed and punished but I know we do not live in the "Care Bears World"
....if you cant benefit from perks like taking the company car home for the weekend? I don´t see anything wrong with this, as long as aircraft availability for maintenance and operations was not affected (it wasn't) then whats the problem? almost every Friday one or two Tornado GR1s from Honington would divert for a snag that mysteriously vanished when the groundcrew got to Newcastle airport to rectify it and have the dubious honour of spending the weekend guarding it until the aircrew, who conveniently happened to have friends or cirlfriends living close to Newcastle, returned on Monday morning to fly it back to Honington.